Scorching summer days are upon us. Thursday is expected to be the hottest day in nearly seven years in parts of the United States. For pets that are sensitive to heat, the steamy summer months are not only uncomfortable, they are also the time when the risk of fatal heatstroke is highest. Thousands of pets die needlessly every summer from over-exposure to heat. Heatstroke is an emergency that needs medical attention as soon as possible. Even before you take your pet to the vet, however, you need to start cooling her body down by putting her in a tub of cool water, for example, or by applying wet towels or ice packs to her body, says Susan G. Synn, D.V. M., a veterinarian in Atlanta. When you are in the car, turn the air conditioner on high and get to the vet as quickly as you can. Here are six tips from veterinarians for homeopathic, flower essence, and other supplements to help reduce stress in overheated pets. Your pet pants a lot even when the temperature is cool. She appears tired during the warm months. Her gums are suddenly bright red. Dogs and cats don’t take off their coats in warm weather, and they don’t sweat like people do. (An exception is the nearly hairless Sphynx cat, which sweats so much that it needs to be toweled off every day.) Pets pant in order to dispel heat, but it isn’t a very efficient system; they naturally run a little on the warm side. And some pets, such as those with dark, heavy coats, are much more susceptible to heat than others. Veterinarians worry when pets seem unusually warm, because overheating may be a symptom of underlying problems. A dog who can’t walk half a block without overheating may have a heart problem or be overweight. Mist her with essences. A blend of five flower essences called Bach Rescue Remedy can help decrease stress when your pet is overheated, says Kimberly Henneman, D.V.M., a holistic veterinarian in private practice in Utah. You can put three to five drops of Rescue Remedy in her drinking water, but you will get quicker results if you combine five drops with a cup of spring water in a mister and give her a quick spritz whenever she seems to be getting warm. Top the heat with Belladonna. Dogs and cats that are exhausted from the heat will quickly revive when given homeopathic Belladonna, says Betsy Walker Harrison, D.V.M., a holistic veterinarian in private practice in Wimberley, Texas. “It’s also the primary homeopathic remedy for heatstroke,” adds Dr. Henneman. She recommends giving pets weighing under 15 pounds one pellet of Belladonna 3C every 30 minutes. If your pet isn’t getting better by the third dose, belladonna probably isn’t going to help, and you should call your vet, she says. Best Bet! Encourage her to drink. Pets that are sensitive to heat need to drink a lot of water, especially during the summer months. The problem is that the body’s thirst mechanism isn’t always as sensitive as it should be, so pets may not drink all the water they really need. To encourage them to drink more, Dr. Harrison recommends giving them ice chips or ice cubes throughout the day. Many pets like crunching ice, and it helps get extra fluids into their systems. Another way to get the benefits of water – at least with dogs – is to get them wet. Spritzing them with a hose or encouraging them to lie in a kiddie pool will cool them off in a hurry. Even sprinkling the grass where they play will keep them a little cooler, Dr. Harrison says. When dogs and cats lose fluids, they also lose electrolytes, essential minerals like calcium and sodium that they need to stay healthy. Giving your pets an electrolyte solution like Pedialyte or Gatorade will quickly replace these minerals, and they will probably like the taste. You can add several tablespoons of one of these drinks to your pet’s water every day, says Dr. Harrison. Even on mild days, your pet’s coat traps a lot of heat and holds it next to the skin. Putting her in front of a fan or, better yet, near an air conditioner will circulate air through the fur and keep her cool, says Dr. Harrison. Since pets that are sensitive to heat may run low on fluids, you need to watch for dehydration, says Dr. Harrison. A quick test is to gently pinch the area between the shoulder blades. The skin should snap back into its usual position when you let go. Skin that stays in the pinched position for three to five seconds is a sign that your pet is dehydrated, and you will need to call your vet right away. Most importantly: Never, never leave your pet in a closed car. Adapted from New Choices in Natural Healing for Dogs and Cats, by Amy D. Shojai.Copyright (c) 1999. Reprinted by permission of Rodale Press. Great information for keeping our pets safe. Thank for sharing! Yes, we must all be vigilant in watching out for signs of heatstroke in both cats and dogs along with all mammals including man. This is preventable if we are constantly on guard. Yes, cars and dogs/cats/babies often equals tragedy! Lately I have noticed both in articles and individual posts one word in blue being underlined. Am not sure if Care2 is testing out a new way of advertising but this happened in my posts June 16, never saw it happen before, flagged Care2 about it as the word is a link taking one to an advertising site. This is decidedly not cool! After posting this in Need Help In Care2? (one of many Care2 groups, this dealing with issues if one has problems in Care2) I found that another member had this happen to him as well. Today, I find these blue underlined words (always one word) in both articles and people's comments. Today in this post, Beverely C has the word "parent" in blue. This is likely not her doing. And the word goes back to black (normal print colour) later on! At first I thought that I had picked up some virus from a scammer, did a security scan, my computer was clean, chucked my regular security service and rescanned with a previous service to double check, flagged My Page with a warning...involving a lot of loss of time and anxiety. Whatever this is, it is very annoying. Any other members notice this lately? By the way, in reference to my comment below, if the words in blue (usually one word) is NOT underlined, then it is a safe Care2 link, going to a reference article. If the word in blue is underlined (at the moment twice) then it takes you to an site involving selling something-I notice in the comment of mine below the word advertising is now in blue and underlined twice). If it is still there when you read this...don't click on it unless you wish to view a product of something being sold to you link. After awhile the blue underlined word goes back to black in the comment. Who knows which word will be underscored in this comment!) Stay tuned! And now Beverly C's comment has gone back to normal, all black print. 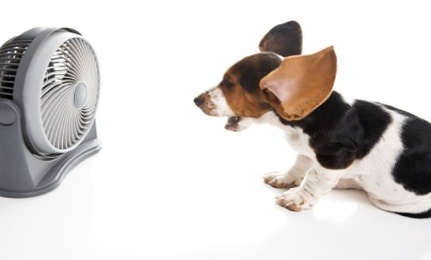 Our Australian summers can be a problem, even with your pet indoors. One of my cars insisted on sitting by a sun-drenched window in the hottest part of the day and often came down with heat exhaustion if I wasn't home to watch her.